Why Trade on Binary.com’s New Interface? 1. Less clicking. Dive straight into trading the asset of your choice from our main dropdown menu. 2. Instantaneous updates. Enjoy automatically updated pricing, as you adjust each variable to your precise desire. 3. Greater responsiveness. Trade easily from anywhere – even on the go – through your favourite mobile devices. 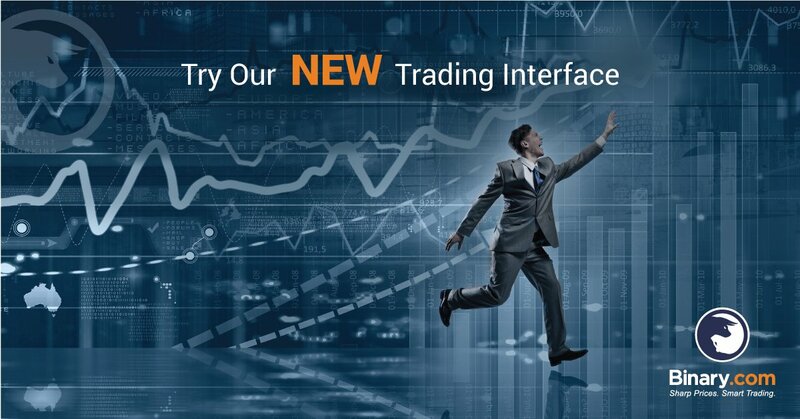 Try our new interface now!